I am not an American still I like pies! Apple, peach pies and from my Houston days the pecan pie of Texas, are my favorites. One of the new recipes that I tried for my friends visit last weekend was baking a lattice topped peach pie. Lattice topped pies are the prettiest pies of all I think. They look so delicate and so delectable, you just want to rip off the lattice top and devour. Though the traditional American pie is made with enough butter that a ordinary Indian would eat in a year, I designed my pie keeping health in mind - reduced the butter quantity in pie shell drastically, still it came out great. The base was like thin crust pizza pie base, and the peach fruit topping - I read that peaches are the kind of fruits that would come alive with touch of heat. I picked peach filling mainly for that reason and I agree, they tasted great after baking. And the lattice top - it was fun to weave the top. Both Vijay and I, we are the offspring of silk and cotton weavers, so it didn’t take long for us to figure out how to weave the dough strips, and also Barbara’s post helped me a lot. Thanks Barbara. All and all, even with shortcuts, the pie came out good, I imagine just like a traditional rural pie would; firm-flaky crust that tasted little more than browned butter and flour and a peach filling that was naturally sweet and juicy. A blue ribbon winner for sure. :) If you are interested to try this recipe, please keep in mind that peach pie is little bit acquired taste, also depends entirely on the quality/ripeness of peaches. Take them in a vessel. Mix (rub) the flour with butter pieces and adding few drops of cold water inbetween - prepare a tight dough. Cover the dough and keep it in the refrigerator for at least 30 minutes. Meanwhile prepare the fruit filling. Remove the pie dough from the refrigerator. Divide it into two portions, ¾ and ¼ part, the big one for pie shell and the small part for lattice top. Roll the big portion of dough into a big round that would fit the pie pan. Lift and place neatly into the pie pan. With the remaining small portion of dough - roll it into another big round. Cut the dough into thin strips lengthwise with a sharp knife. Make a lattice weave following the instructions here. (Do you remember how folks back home weave cotton rope layers for sleeping cot? Same thing here, quite easy.) 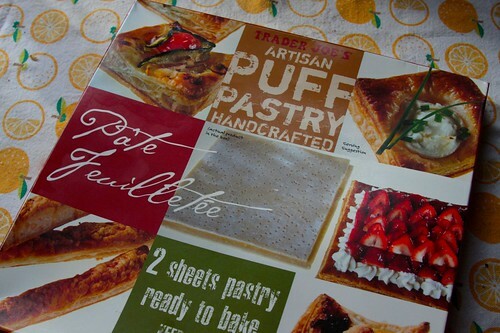 I did it on the back of wax paper covered steel plate; it was easy to place the lattice top on the pie. Fill the pie shell with fruit slices neatly in a level, to the top. Carefully place the lattice weaved dough strips onto the fruit pie. Brush the top with milk and sprinkle some sugar on top. Preheat the oven to 400 F. Place the pie pan on a flat big baking sheet and bake at 400F for about 20 minutes and then at 350F, for about 30 minutes, until the top turns to golden brown and fruit inside becomes soft and juicy. Do not underbake. Remove and cool. Slice and serve. Traditional American apple pie - Recipe in images. How to weave lattice top for pies - Barbara’s post here. Hot and fresh from tandoori oven, light and chewy, Naans epitomize everything that is good about wheat flour. But preparing naans at home means inviting disappointment most of the times. Recreating the tandoori magic in a home style-baking oven is impossible and invariable comparison to the Indian restaurant tandoori baked ones will lead to frustration. But sometimes, mainly because we don’t have an Indian restaurant in this town, I’d prepare them at home following a traditional Punjabi recipe. (This recipe is again from our kind neighbor, an old acquaintance Deviji.) The dough is prepared with milk or yogurt. I usually go with fresh homemade yogurt, for naans with little bit of sour note. I can’t say the end result is excellent; of course the culprit is the baking method, not at all the recipe fault. What I can say and recommend is they are worth the effort, good in taste department, and come close to the original in texture and softness. So give it a try. But please don’t expect the tandoori magic. Mix and wait for it to rise. I went with walnuts and raisins this time. 1. In a large bowl, sift flour, stir in salt, sugar and ghee. Add the yeast water. Mix by gradually adding the yogurt. Add and mix until the dough starts to leave the sides of the bowl and comes together in solid lump. 3. When you are ready to bake, take the dough out, knead for another 5 minutes. Divide the dough into lemon sized rounds. On a board or countertop, dust a little bit of flour, and roll out each ball into a big round with 1/4 to 1/2 inch thickness. 4. Prepare all the rounds like this and neatly place them on a greased or parchment paper lined baking tray for baking. Brush them all lightly with melted ghee. Sprinkle and press toppings (walnuts). 5. Preheat the oven to 425 F. When oven is ready, place and bake for about 5 to 10 minutes. White dough changes in color from light cream to pale pinkish red like baby’s cheeks. Keep an eye on oven and take care not to brown/over bake. Remove and serve hot with a curry. For Indian recipes, I can’t and won’t break the tradition and I will always follow the elder’s footsteps in preparing food. I believe the ingredients they use for a particular recipe have been chosen for a reason, and the steps they followed to make a recipe work are methodic, implicitly giving a perfect taste and nutritional boost. But when it comes to western food, since I ‘m not used to making these traditionally, I feel very free to experiment. Also I believe most of ‘traditional’ recipes that I see in magazines and TV shows are the stuff that they makeup as they go, to promote some food ingredients or products following the corporate orders. 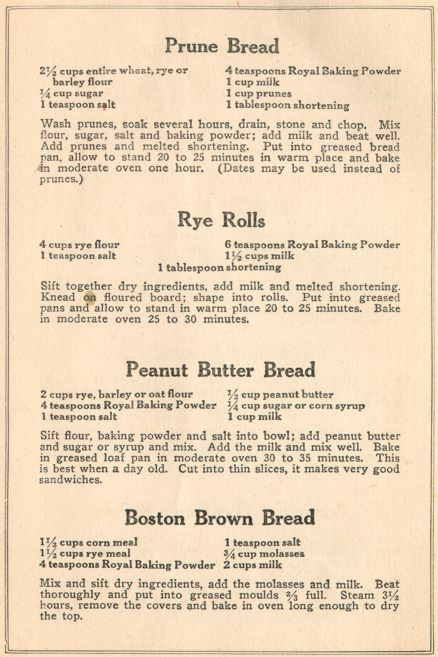 When food ingredients have their own associations and mega budgets to promote and influence peoples opinion in their favor with advertisement blitzes, I am not sure how traditional most of these recipes are, though they proclaim otherwise. Chestnut cookies first posted by Mine of Teatime then submitted to cookie swap event by Ulrike of Kuchenlatein, captivated me mainly because they sounded real authentic, traditional and old world. When I saw the beautiful photographs, I so wanted to try these cookies. I changed few things here and there, going all the way to make them rustic pure. Use of molasses in place of powdered sugar, turned the cookies golden brown instead of creamy white. I tried decorating cookies differently, but it didn’t come out as I expected. Except for that one gaffe, the cookies turned out to be mouthfuls of wholesome goodness. Thanks Mine and Ulrike for sharing this wonderful, traditional recipe. Powder the almonds and roasted chestnuts in a food processor to a smooth powder. Make it easy on the motor and do it in batches. In a vessel, take egg whites and beat them until they turn to foamy white. To these egg whites, add molasses and cardamom-cinnamon-clove powder. Mix and stir in all purpose flour and almond-chestnut powder. Mix them thoroughly. Shape the dough into a log, wrap it in a wax paper and store it in the freezer, until the cookie dough firms up. I had to keep it overnight in the freezer. Preheat the oven to 350° F. Remove the hardened cookie dough from the freezer, cut it into 1 to 2 inch rounds crosswise. Place them neatly in rows on a greased or parchment paper lined baking tray. I egg washed the tops and sprinkled some brown sugar on top of each cookie, my idea of decoration, not so successful, I have to say. :) Place the baking tray in preheated oven and bake them at 350°F for about 20 minutes. Believe it or not, they tasted like, do you know the South Indian sweet “Ariselu“, exactly like that. Roasted chestnuts and molasses gave a special and characteristic taste to these cookies, a first for us and we liked them very much.